There were 692 press releases posted in the last 24 hours and 154,042 in the last 365 days. Las Vegas, NV, April 17, 2019 (GLOBE NEWSWIRE) -- via NEWMEDIAWIRE -- Las Vegas-based MJ Holdings, Inc. (OTCQB: MJNE) (the “Company”) a diversified, publicly-traded holding company providing complete seed-to-sale services to the regulated cannabis industry, announces that it has privately raised $5,565,000 since late March of this year. In February, the Company was able to repurchase 20,000,000 issued and outstanding shares of its common stock for a total of $20,000. The shares originally were issued in December of 2017 in conjunction with the Company’s reverse merger with Red Earth, LLC. Red Earth is the holder of the Company’s City of Las Vegas Marijuana Cultivation License. Terrence Tierney, the Company’s CAO, stated: “Our largest shareholder made a selfless decision to show their belief in the future of the Company by selling shares back to us at their original cost, which enabled us to resell some of those shares for more than $5,000,000 without any dilution to our existing shareholders.” He went on to say: “In fact, the transaction is anti-dilutive as we have increased our cash on hand while reducing the number of issued and outstanding shares of our common stock.” The Company has commitments for additional funding from shareholders and expects to close this round of financing on April 26th. A portion of the funds will be utilized to build out an additional, three-acre facility in the Amargosa Valley - thereby doubling the Company’s hybrid-mesh cultivation system to more than 240,000 sq. ft. and, thus, enabling us to grow approximately 15,000 marijuana plants in 2019. The Company now has sufficient cash to fully-implement its business plan for this year. “We are excited that we can continue to grow the Company and launch our new initiatives, including our state-of-the-art cannabis genetics labs,” commented Company CEO Paris Balaouras. The Company also will use some of the proceeds to build out a portion of its Las Vegas facility to operate a seed genetics lab to produce high quality marijuana seeds and clones, and also will build a hemp seed production facility in Amargosa. The March 2019 infusion of growth investment was led by a group from the Carolinas who also have engaged the Company to lead their vertically-integrated entry into the medical cannabis market when it becomes legal in that state. It is hoped that the South Carolina legislature will affirmatively vote on the pending Compassionate Care Act and pave the way for medical marijuana to be available beginning in 2020. 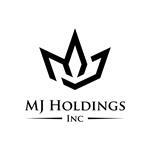 MJ Holdings Inc. (OTCQB: MJNE) is a diversified, publicly-traded holding company providing cultivation, production management and infrastructure development services. Our management operations currently include: a three-acre, outdoor, marijuana cultivation facility in the Amargosa Valley of Nevada and a fully-licensed, indoor, agritourism facility located in the city of Las Vegas - known as the Highland Show-Grow. We also are active in identifying and acquiring revenue producing assets and licenses within legalized cannabis markets both nationally and internationally.